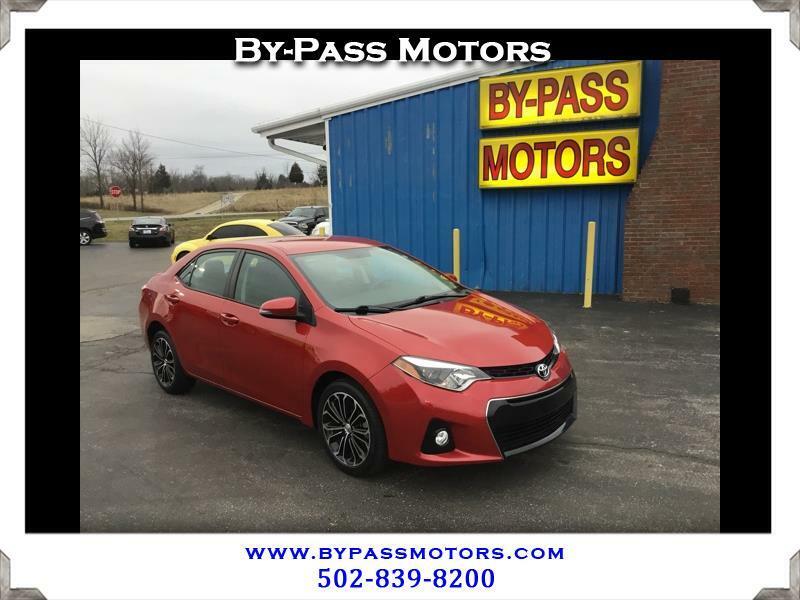 Used 2016 Toyota Corolla S CVT for Sale in Lawrenceburg KY 40342 By-Pass Motors, Inc.
**WOW** ONLY 5K MILES!!!! This ONE OWNER OFF LEASE Corolla S is in brand new condition and is as nice as they come. This car is nicely equipped with the upgraded Sport Wheels and Leather Trim Seats. We have performed a full inspection along with a complete service to insure that this car needs nothing when you drive off the lot. From the bright red paint all the way down to the stain free interior you can see that you are buying a car in brand new condition for a fraction of the cost. We have been in business since 1989 with an A+ rating with the BBB!! !